Customer satisfaction is a top priority in any competitive business. But for Intelligent Solutions it is merely the point of departure. 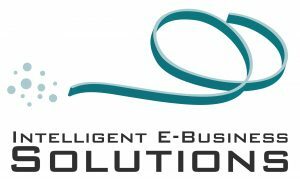 Within Intelligent Solutions, operational excellence means maximizing our customers’ satisfaction, our market position and financial results by ensuring continual quality and cost improvement in our processes, products, and services. Deployment of our quality and customer satisfaction strategies enables us to meet the commitments within our quality policy. • Actively ensure that our customers’ requirements and needs are identified and incorporated into our solutions. • Ensure that quality is included at all points in our research, development and delivery processes. • Strive to provide a superior product, service and solution to our customers. • Always keep in mind that the only reason for Intelligent Solutions existence is to meet our customers’ needs. Meeting and exceeding customer expectations is vital to our success. Our customer expectation and satisfaction management program is a key element within our policy. We use a proactive approach to ensure that customers’ expectations are understood, communicated throughout the organization, and met with timely, practical and innovative solutions. Our goal is to continuously improve our customers’ satisfaction and experience with IEBS. Intelligent Solutions commitment to customer satisfaction has been strongly embedded in the company values since creation and it became the cornerstone of the Intelligent Solutions quality management culture. Customers drive our business strategies toward achieving success and excellence in everything we do, and will continue to be our key focus for developing products and services that accelerate their capability to prosper in their business. So our goal is to ensure that everyone in our company is customer focused and that we maintain the highest standards of customer service and satisfaction that we can, relative to the resources at our disposal. We are committed to compliance with requirements that relate to our business. We will set and review objectives and targets to ensure continual improvement in our management system.